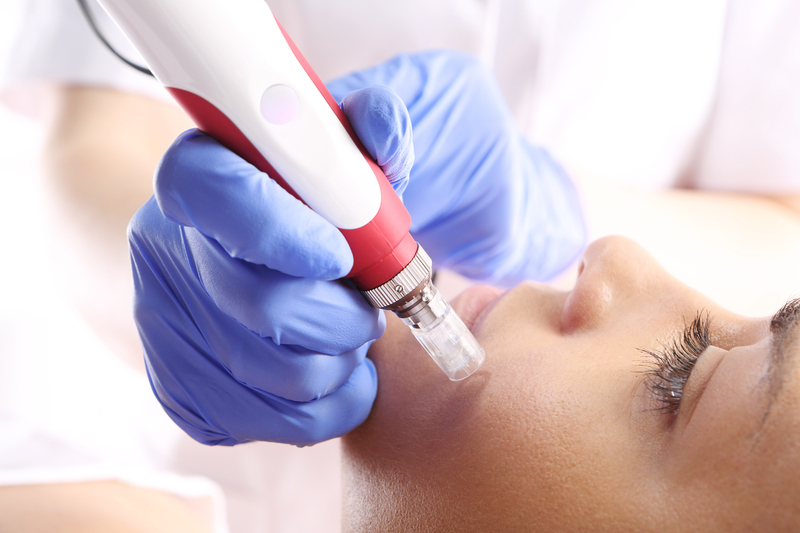 Microneedling is an effective therapy to gain skin improvement. With this method miniscule needles penetrate the skin, leaving small openings in the skin. This is not visible to the eye but it’s exactly enough to stimulate the dermis. The dermis will produce more collagen and elastine which gives strengt hand elasticity to the skin. The skin will become tighter and smoother. Scars, wrinkles and hyperpigmentation will reduce, which represents the skin rejuvenation. The treatment can be applied in every skin zone. It’s possible to use different penetration depths. So even the very thin skin, for example around the eyes, lips and nose can be treated. Deep (atrophic) scars, the sharp scar edges will be flattened. Coarse skin structure becomes more uniform with finer pores. Production of collagen and elastin also increases, wrinkles and fine lines decrease. Skin becomes firmer and smoother. Cell division gets a boost. Sun damage, age spots and other superficial pigment spots fade. As with other skin-improving treatments, the more treatments, the better the result. We always recommend a course of treatment +/- 3 to 6 treatments.